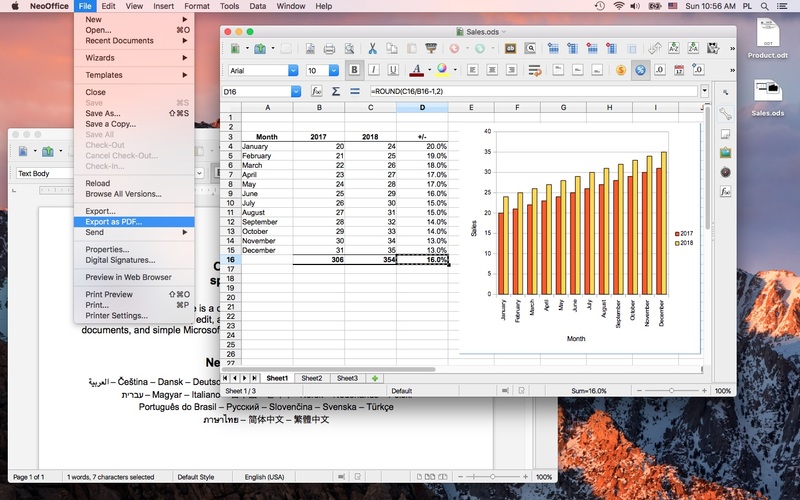 NeoOffice is a complete office suite for OS X. With NeoOffice, users can view, edit, and save OpenOffice documents, PDF files, and most Microsoft Word, Excel, and PowerPoint documents. NeoOffice 3.x and OpenOffice users: before you buy NeoOffice, we recommend that you click on the “NeoOffice support” link and read the list of changes.